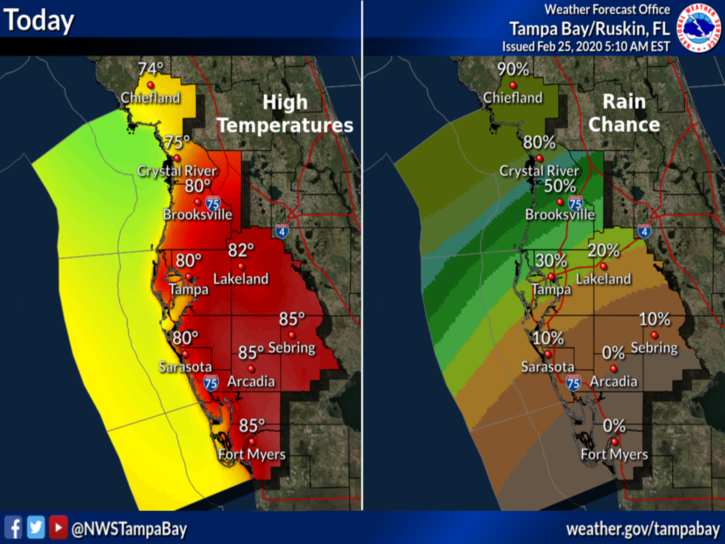 and storm coverage across east central Florida this afternoon. showers and storms will move from southeast to northwest at 20 mph. storms developing later in the afternoon. degrees today, especially in Collier county. Atlantic beaches through at least Wednesday. That's really sad about the LOL folks losing their homes in the sinkhole. I hope their insurance pays 100 percent. I guess there's no stopping it at this point. Insurance rates for all are going to climb. That is very sad. You don't generally hear about additional growth this long after it settles down. BillsfaninSoFla wrote: That's really sad about the LOL folks losing their homes in the sinkhole. I hope their insurance pays 100 percent. I guess there's no stopping it at this point. yes its horrible alright..strange thing is.....at that very site..i cant remember the year or the news story...but there was another sinkhole...and after time..they must have allowed folks to build again I think the news story said..whew....one sinkhole..make that site a parkland or something,no buildings huh. Good Tuesday morning folks..well around my area last night, a lot of dark clouds and a lot of Lighting etc but not a drop of rain for me..sure thought i'd get some..it was that close grrr..lol...oh well mother nature will find me sooner or later lol...well Blogs COFFEE is perking for when you get here..enjoy..have a great day folks!! 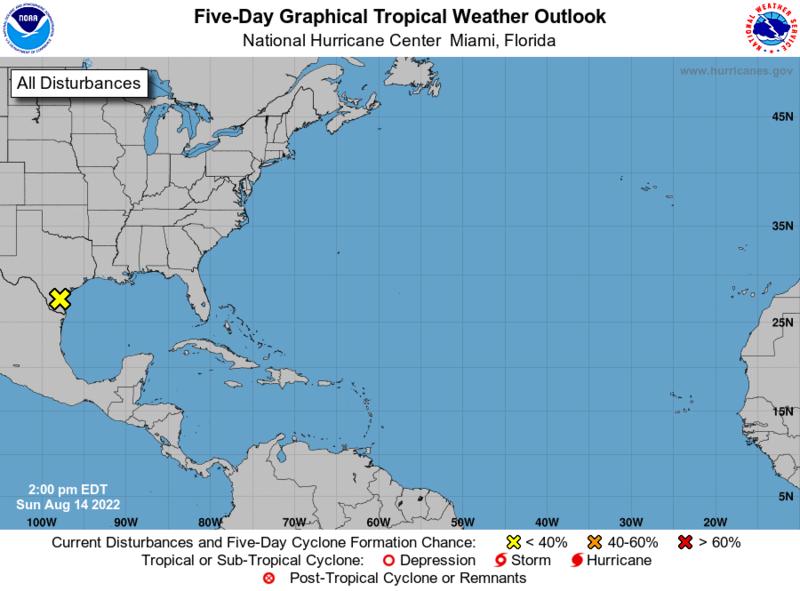 so we keep watching the tropics,and of course we stay alert, it IS that time of year huh. Morning All, What a show of lightning last night. Started around 7 and was still going at 10:30. I did get .15 in the bucket but the lightning was awesome to watch. Flashes and streaks of lightning at the same time against a black sky TOTALLY AWESOME!! PS Thanks for the coffee Largo!! Got .10" in that late outflow boundary storm that came from the SE around 10:30 last night. It was really flashing and rumbling earlier, but it ran out of energy by the time it made it to me. It looked like it dropped a good amount of rainfall in Hernando and Citrus counties. Glad we are finally back into the easterlies and afternoon/evening storms versus the westerly/morning storm pattern. Hope it sticks around for awhile. severstorm wrote: Morning All, What a show of lightning last night. Started around 7 and was still going at 10:30. I did get .15 in the bucket but the lightning was awesome to watch. Flashes and streaks of lightning at the same time against a black sky TOTALLY AWESOME!! good morning John, yeah the lighting was awesome alright..and here above me the cloud formations were cool too..so unusual they were..have a great day! waterdipper wrote: Got .10" in that late outflow boundary storm that came from the SE around 10:30 last night. It was really flashing and rumbling earlier, but it ran out of energy by the time it made it to me. It looked like it dropped a good amount of rainfall in Hernando and Citrus counties. Glad we are finally back into the easterlies and afternoon/evening storms versus the westerly/morning storm pattern. Hope it sticks around for awhile. good morning WD,yes hopefully now we'll be back to our normal pattern for sure..have a great day!! Good morning everyone. It's been quite boring over here. No clouds to speak of, just incredibly hot and humid. I fear our poor hanging plants (pentas) are not going to survive despite being hand watered. They have been thriving and beautiful up until two weeks ago, and despite being watered they are shriveling up before our eyes. The mandevillas are thriving. They love this hot and sunny weather. Oh well, we got them until August. Will have to start over when it cools off. Thanks for the coffee Largo and have a good day all. BillsfaninSoFla wrote: Good morning everyone. It's been quite boring over here. No clouds to speak of, just incredibly hot and humid. I fear our poor hanging plants (pentas) are not going to survive despite being hand watered. They have been thriving and beautiful up until two weeks ago, and despite being watered they are shriveling up before our eyes. The mandevillas are thriving. They love this hot and sunny weather. Oh well, we got them until August. Will have to start over when it cools off. yes my guess is its the extreme heat index this year..just about every day the feels like temps are over 100 I cannot imagine what they are down in south florida..maybe close to 115? some days?? whew...all my hanging plants died already..i gave up with them..but my ground gardens are doing great ..so far anyway. folks lets see in 3 4- days what these tracks for 99L say...myself I don't like any of them..going into south florida or the gulf. this for 99L could also change thru the week,lets keep our eyes on it from time to time..
ok NHC has 99l Back up to 30% chance for developing thru 5 days..watch this one huh..
anyone have any family or friends in the Bahamas? 99L will develop there. 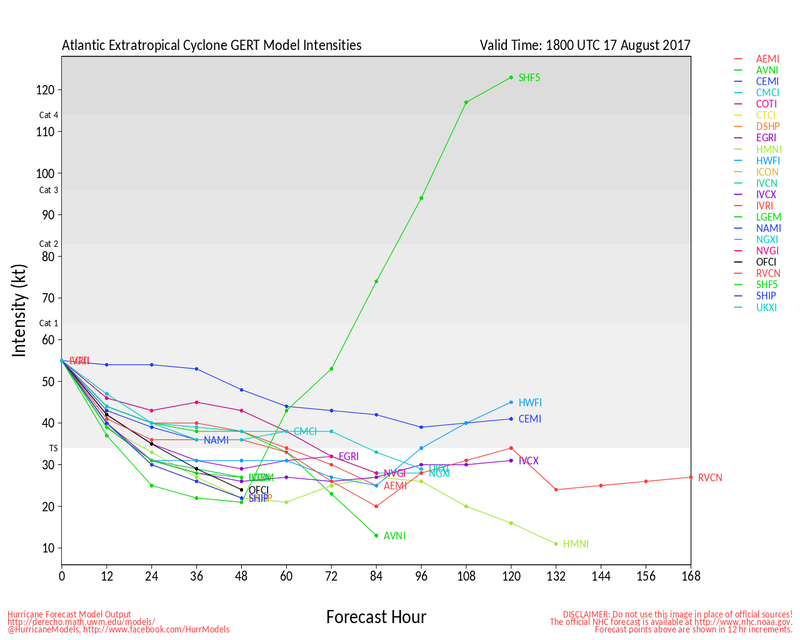 I'm watching in the next days to come..if the GFS also builds up 99L...so far it hasn't which is strange since IT was the first..last week to make it a hurricane huh...well we have 4-5 days to wait and watch what develops. Rest in Peace, Glen Campbell. The earliest concert that I have memory of; my dad took me. Good Wednesday Morning folks!......well I must have had a sprinkle here early this morning,grass looked wet,i'll take every drop I can get here lol...........well looks like some kind of weak trough will be sinking down the state thru the next few days..hopefully bringing some rain again....so...Blogs COFFEE is perking for when you get here..enjoy..have a wonderful day everyone! good luck up there WD..alot of lighting etc earlier by me..no rain at all once again gee,it looks like you have the afternoon sea breeze storms up there huh. Storm Franklin, located over the Bay of Campeche. and Florida during the next day or two. LargoFL wrote: good luck up there WD..alot of lighting etc earlier by me..no rain at all once again gee,it looks like you have the afternoon sea breeze storms up there huh. Sky is really black to the east, but no rainfall here yet. Really not much of a sea breeze here today so who knows what the storms will do. I really hope the rain stays away as I have some things to do this evening after work. ok good luck tonight WD!! Bell, moving northeast at 15 mph. Ichetucknee Spring, High Springs and Fort White. heavy rain which will cause flooding over downtown Jacksonville. Hogans Creek and Moncrief Creek will experience flooding. Rainfall amounts of 2 to 4 inches are likely in the warned area. well looks like northern florida has some bad storms up there this evening,stay alert and safe folks. lol Largo, the thunder has been going on for quite a while now and not a sprinkle here! But lots of folks around me are getting nice rainfall. 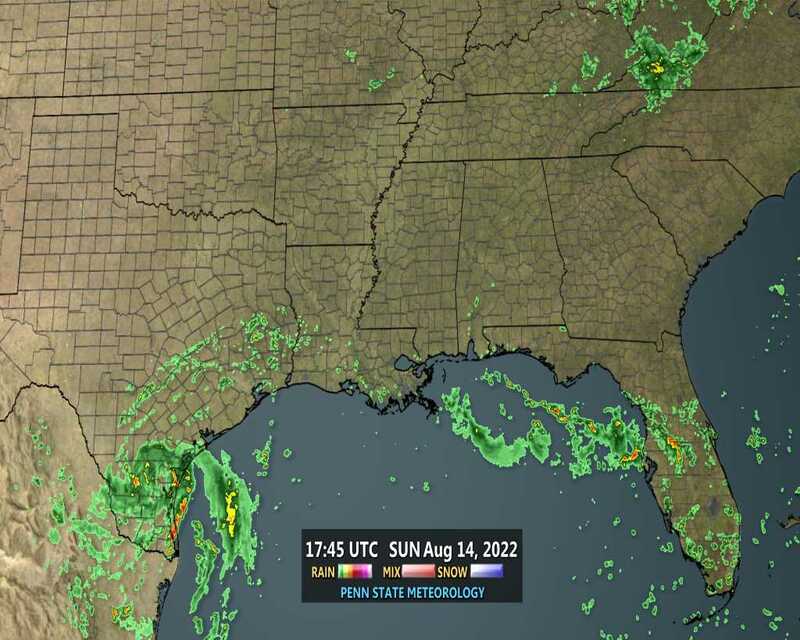 That was a nice looking radar pick up in Aug's neck of the woods. JAX must have gotten hammered! Good afternoon. Quick driveby. LONG day at work and I need food. Had a storm develop along the ECSB overhead. It dropped some serious C2G's (not to be confused with C3PO's) for about 15 minutes. The lightning may deserve a place in the top 10 of my 19 years living here. The rain was respectable with .72"
yes I had a real bad thunder and Lightning around here around 1pm or so..whew it shook my house but no rain.boy that's really dangerous to be caught outside when these storms pop up huh...well good night folks! Rain as usual here today..1.18" so far. Running behind on eclipse practice,sure would hate to miss something..I normally do a blog if we have a Hurricane,thankfully Largo and others have my back....So I can check in and see whats up. I will get back to weather after this once in a lifetime eclipse I am trying to capture.